Sunny D. Light and her henchman Cumulo Nimbus have stolen the greatest treasure in the world! Where did it go and how can Agent 007 1/2 get it back before it’s too late? 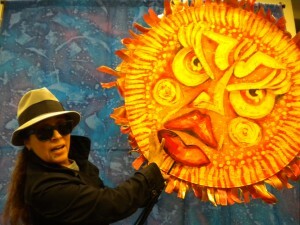 Will the Mission Is Possible Force find the treasure, save the planet and reconcile Mother Nature with her favorite Sun? They will with your help as a Secret Agent! Join the M.I.P Force as a secret agent to solve this mystery. Odds are, you won’t live to see the morrow, unless the treasure is found!